For over a decade, Small Dojo Big Profits has guided martial arts instructors through the risky yet highly rewarding process of starting and running a highly successful and profitable martial art school. Eschewing the conventional wisdom that says you must have a huge school with 300 or more students to be financially successful, the author instead shows you how to take on less risk while working smarter and not harder by running a lean, mean, efficient martial arts studio operation. Author Mike Massie has started three successful martial arts studios from scratch, and has the distinction of opening his first studio with no start-up capital, zero credit, and in a town where he was a complete stranger. Yet, he was able to go from teaching in part-time locations to running his own full-time studio in under a year, and he achieved this while staying in profit from month one. The process he followed is the same one this book is based upon, and this updated version of Small Dojo Big Profits also draws on the author’s experience in starting and growing two more successful studios during the recent mortgage crisis and economic recession. A common sense martial arts school start-up and business operations manual, this completely updated version of the classic martial arts business guide is perfect for anyone who wants to maintain their integrity while building a successful martial art school. If you’re looking for the best source of complete information for starting, launching, growing, and running a martial art school from scratch, this is it. 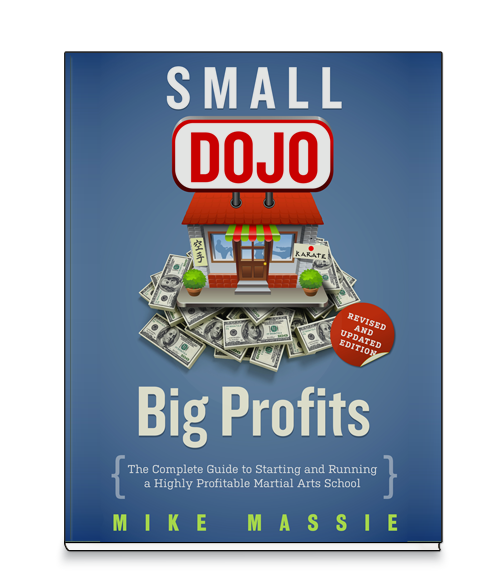 Mike Massie is the author of Small Dojo Big Profits and has been a professional martial arts instructor for over twenty years. 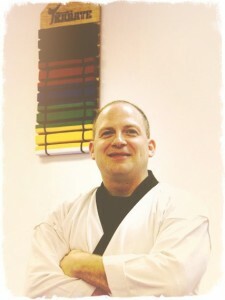 He has been studying and training in the martial arts since 1984. Through his materials, including his manuals, articles, websites, blog, and newsletter, Mr. Massie has helped thousands of martial arts instructors achieve greater financial success, while finding increased personal satisfaction in their careers as professional martial artists. Mr. Massie lives with his family in Austin, Texas. For more information on Small Dojo Big Profits, please visit our home page by clicking here. For ongoing business coaching and monthly marketing assistance and materials, click here.